On 11th March in an interview for the ČTK (Czech News Agency) President Miloš Zeman said the main threat to the NATO today is the international terrorism. He disapproved peace negotiations with the Taliban saying an agreement with the Talibs would make Afghanistan a base of the international terrosism again. The President would support increased NATO presence in Afghanistan. He appreciated the security guarantees provided by our NATO membership. In the same inteview he said his support for the NATO operation against Serbia during the Kosovo crisis in 1999 was a mistake. On 12th March the Czech Republic (and Poland and Hungary) marked the 20th anniversary of its membership in the NATO (12th March 1999). The celebration events included conferences, debates and exhibitions, culminating with the 6th national conference netitled “Our Security Cannot Be Taken for Granted“ organized at the Prague Castle by Jagello 2000 (organizer, among other, of the annual NATO days), hosting heads of state, NATO representatives and other guests. During the conference the Prime Minister Andrej Babiš reassured the audience that the Governement plans to spend 2 % of GDP on defence by 2024. Among the main threats to the Alliance’s security the speakers mentioned Russian ambitions, international terrorism and cyber warfare as a specific mean the NATO is facing. 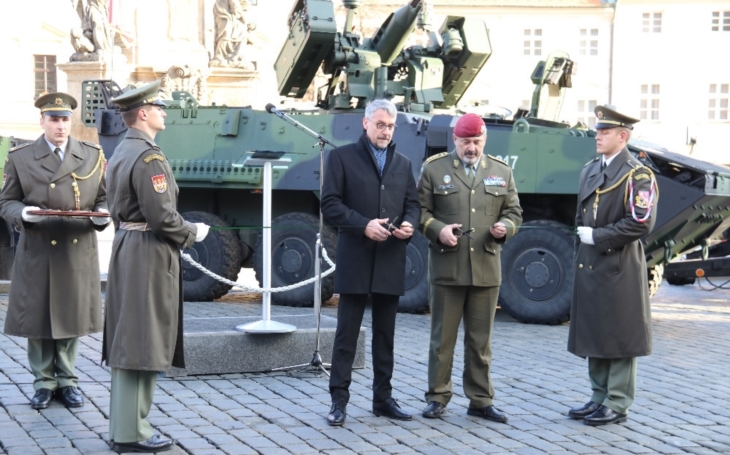 Minister of Defence Lubomír Metnar mentioned 10.5 thousand Czech soldiers who took part in the NATO operations in Afghanistan since 2002, as the most important among the Czech contributions to the activities of the Alliance. On 13th March the Chamber of Deputies of the Czech Parliament approved an amendment to the Aliens Act to allow for an easier expulsion of foreigners repeatedly convicted of crimes in the Czech Republic. At present the proceedings to revoke a residence permit can last even over two years. The amendment’s aim is to reduce the delays of the expulsion process down to 6 months at most. On 15th March the Czech Police arrested a dozen of foreigners and charged them with people smuggling. The suspects all come from the former Soviet Union countries and are presumably part of an international group focused on smuggling migrants from South-East Asia. The operation was a conclusion of combined efforts of Czech, Polish, Slovak and Ukrainian police.